We have been committed to sustainability and environmental sensitivity for years. Thanks to advances in modern technology, we are continuing to stay ahead of the curve. We have put several best practices into place to be sure we are operating as cleanly and efficiently as possible. Steinhafels’ distribution center in Waukesha recycles cardboard, plastic, wooden skids, paper, mattresses, and florescent light bulbs. 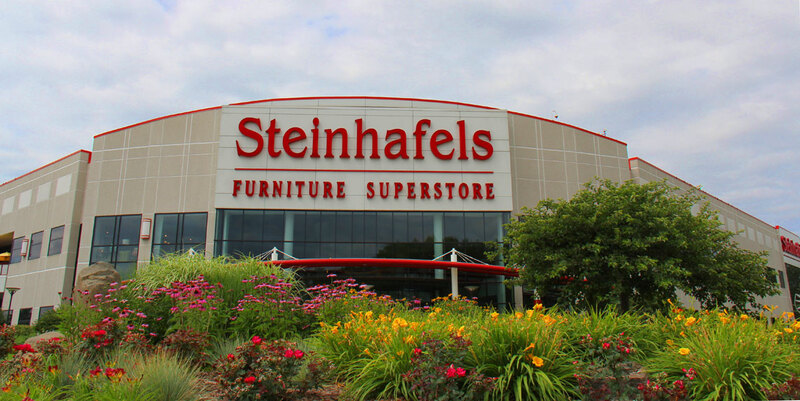 Steinhafels also recycles furniture, and donates usable pieces to charitable organizations. As you read a Steinhafels ad in your local paper or magazine, you probably don’t think of all the work that goes into it. The images, the picking of product, the copywriting--there are different people in charge of every component. But what about the ACTUAL paper itself? Even though we have a large digital footprint these days, paper is still a HUGE part of our business when it comes to Advertising. It’s important to us that the paper we use for our ads is local, and produced in a sustainable fashion. We use paper produced at the Catalyst Paper Mill in Biron, Wisconsin. The Biron Mill has been producing a quality product for decades and is constantly evolving to make sure its processes are as environmentally sound as possible. We even personally visited the mill and nearby forest where the trees used for the paper in our ads are harvested and replanted. CHECK OUT THIS ARTICLE IN ONMILWAUKEE! • The mill’s control room is on the Wisconsin River. They use the river for “showering the paper,” which means it’s basically used as a sink for the heat produced by the machine. The water is then filtered and sent back to the river cleaner than when it came in. • 85% of waste in the mill is reused, and land-spread for agricultural use. • The steam from the machines is recycled and used for energy in the mill. This means they are able to shut down one of the mill’s boilers, resulting in fewer sulfur emissions. • The foresters supplying wood for the mill follow a pre-harvest environmental plan, in order to be as sustainable as possible. The entire paper-making process truly is something to behold. Steinhafels is proud to be supporting fellow Wisconsinites who are working to produce the paper we use in our ads, and that likely boxes many of your household products as well! STEINHAFELS IS BUZZING... TO HELP THE BEE POPULATION! Steinhafels is very excited to be partnering with Germantown-based Indian Summer Honey Farm. In the spring of 2018, they put beehives on the outskirts of our Waukesha Corporate Store and Warehouse property. Bees are essential to pollinating our food crops, so we’re trying to do our part locally to help increase the dwindling population. There are 40 hives total, with one queen and up to 80,000 bees in each. That’s a lot of honey… potentially 120 pounds of artisan honey per hive! Indian Summer Honey Farm was established in 1982 and consisted of about 1,200 beehives. Since then they have grown into a 3,000 hive operation that migrates each year between Wisconsin and Florida (during the winter months). CLICK HERE TO SEE BEE-HIND THE SCENES! Our total energy costs are down 20%, and will continue to stay down, even though we are expanding the distribution center. We utilize state of the art LEDs in the distribution center and in our showrooms. Occupancy sensors ensure more efficient use of resources. We charge our vehicle batteries during off-peak hours to conserve energy. We are using the latest technology to make sure our HVAC system runs as efficiently as possible, and to monitor energy usage. 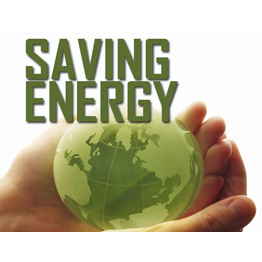 Overall, we are seeing a savings of 38% on energy usage. CARDBOARD - Steinhafels recycles almost 1,000 tons of cardboard annually. That is equivalent to 17,000 trees! 17,000 trees filter up to 1 million pounds of pollutants from the air each year. 1,000 tons of recycled cardboard saves 3,700,000 lbs. of lumber & 24,000,000 gallons of water. Recycling 1,000 tons of cardboard saves over nine thousand cubic yards of landfill space. 1,000 tons of cardboard recycled saves enough energy to power a TV for 31,000 hours. Recycling corrugated cardboard cuts the emissions of sulfur dioxide in half, and uses about 25% less energy than making cardboard from virgin pulp. PLASTIC - Steinhafels currently recycles over 80,000 lbs. of plastic each year! Did you know that plastic can take up to 400 years to breakdown in a landfill. Much of the recycled plastic ends up as low-grade plastic lumber which may be used in furniture. Currently, we have multiple natural gas service tech vehicles, and we are exploring the possibility of using natural gas trucks as we phase in new delivery trucks in the future. Natural gas is a cleaner alternative to traditional fossil fuels. Check out our ARTICLE in OnMilwaukee.com about these Green Machines!